The Ableconn MPEX-139P allows you to Install a SD momory card to system via the Mini PCIe socket using PCIe signals. * Supports SDR-104 / DDR 50. * PCBA size: 52mm x 31mm / 2.05" x 1.20"
Utilize up to 2TB SD 3.0 (SDXC) Memory Card to Embedded Motherboard Mini PCIe Socket via fast PCIe signals! 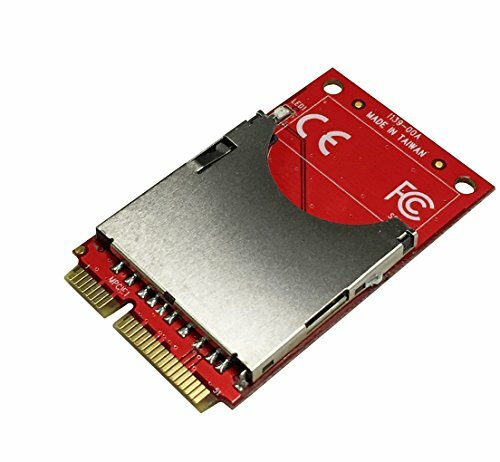 Support SDR-104 / DDR 50 and CPRM function. PCBA size: 52mm x 31mm / 2.05" x 1.20"
Fully RoHS compliant. Made in Taiwan.